Bonjourno! 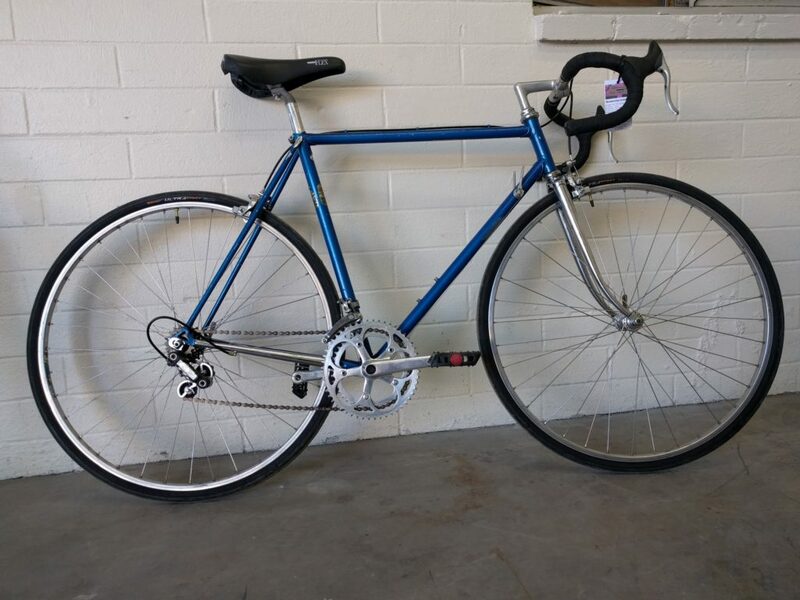 The bike of the month for November is this Masi road bike (model unknown). It’s totally overhauled with a fresh lease on life. The bike is nearly stock, equipped with full Zeus (Spanish) componentry except for a pair of Shimano 105 brake levers. The rims are NISI Moncalieri (Italian) and everything is in beautiful condition. Perfect for a rider approx. 5’6″-5’9″ with a $275 budget!